Here's the truth about woodworking: you don't need a single machine or a huge shop. All you need are a few essential tools, a little bit of space for a basic workbench, and the desire to make something with your own hands. The Minimalist Woodworker is about making woodworking simple: from the tools and the workspace to the easy-to-follow instructions. It eliminates any fears as it demystifies the craft. 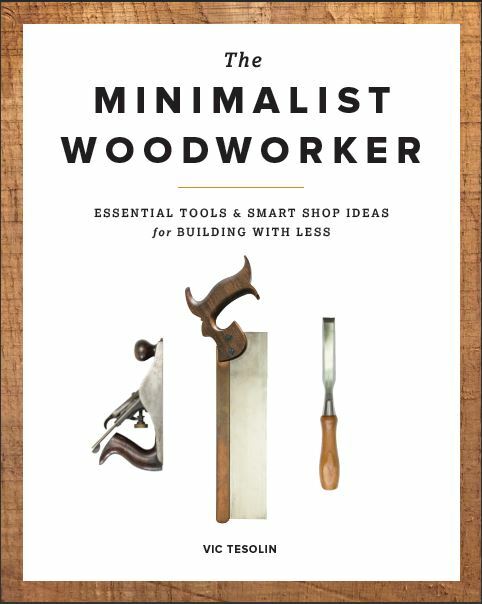 Written by Vic Tesolin, The Minimalist Woodworker is a stress-free approach to woodworking. It begins with an understanding of the minimalist mindset and quickly details how to make a small space productive while outlining the most efficient tools for a woodworker. Each piece of equipment is explained and techniques and instructions for keeping each piece sharp and well-maintained are provided. Once space and tools are covered, six useful projects are presented: a saw bench and matching saw horse; a Nicholson-style workbench; a shooting board/bench hook; a shop mallet; and a small hanging cabinet. Each project not only develops woodworking skills, but also outfits a small shop. With step-by-step instructions, photos, illustrations, and an easy-going tone, The Minimalist Woodworker offers an informative, stress-free point of entry into the life-long craft of woodworking.